Our favorite part of going to the movies? The trailers. Sure, we get to watch them online several days before they hit theaters -- but there's nothing like seeing them on the big screen with a trough full of expensive popcorn in your lap. 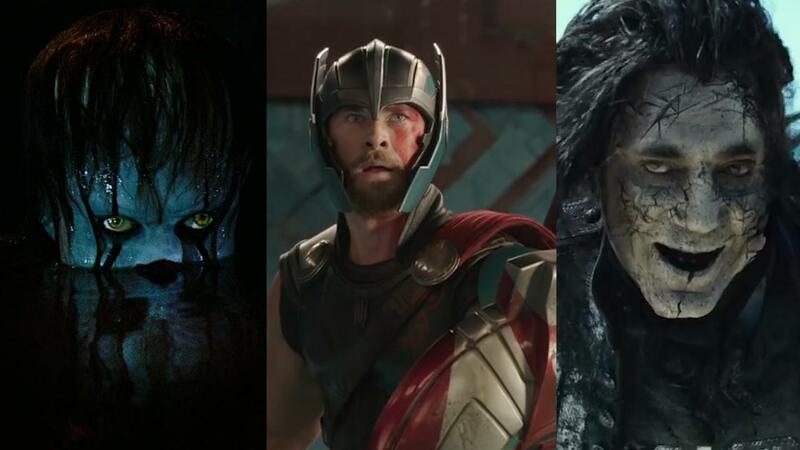 If these trailers are any indication, 2017 is poised to be a pretay, pretay big year for movies. Here are the year's best previews for both movies coming soon to a theater near you and those we've already seen/can't wait to see again. Charlize Theron invents new levels of kick-punching violence as her lethal spy turns a stairwell into a UFC octagon in this trailer. Before we watched this preview, "Blonde" had our curiosity. Now, it has our attention -- and our money on opening weekend. You know why this teaser is great. You've watched it at least a fabillion times this week already. Now, less reading and more watching it again. This trailer is like a club Stefon would pitch; it has everything -- Car chases, a sassy Kevin Spacey, and foot-tappin' needle drops. We need this movie in our eye holes now. Thankfully, after the film received a great reception at SXSW earlier this year, Sony cut down our wait time and moved the film up from August to June 28. For two a-mah-zing films, the rebooted franchise has been building to an epic showdown between man and ape. This trailer proves that director Matt Reeves is going to deliver on that -- and then some. Expect lots of explosions in between Caesar giving you all the feels. 4. Stephen King's "IT" Trailer 1 Scariest trailer ever? Scariest trailer ever. This trailer for Pennywise's much-anticipated trip will give you a serious case of day terrors. I mean, just writing about it now, I can't even -- *rocks back and forth in corner. 3. "It Comes at Night" Trailer We don't know what the "It" here is, but we're pretty sure it would make Stephen King's murder clown blush. It's already made us cry four times while writing this. One of the best X-Men movies ever gives the franchise arguably its best trailer ever. From the moody use of Kaleo's "Way Down We Go" on the soundtrack, to the gonna-make-you-teary-eyed VO from Charles Xavier (RIP), this trailer resonates long after the final credits roll. Watching it again makes you just as excited to see "Logan" for a second time as you were upon first viewing. The best compliment we can give this trailer is that we wish we made it. Did we leave out some of your favorites? Sound off in the comments below.